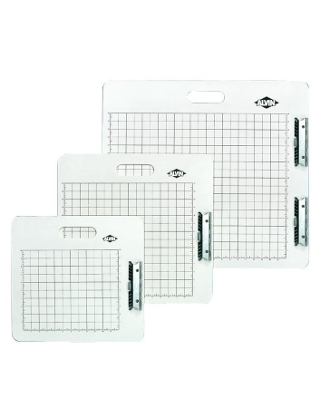 Made of extra rigid 4mm Masonite with cutout handle, smooth edges, and firm spring clips. White surface front and back with black 1" grid lines and ¼" hash marks. Rubber band included to hold drawing media in position.